The classical central settlement is our core activity. Currently we are collaborating successfully with more than 2,000 suppliers and 3,500 retailers throughout Europe. Behind this is the bank secured processing of invoices and credit notes assuming the default risk in full. At the same time, we guarantee the payment to the suppliers in compliance with the best possible payment terms. 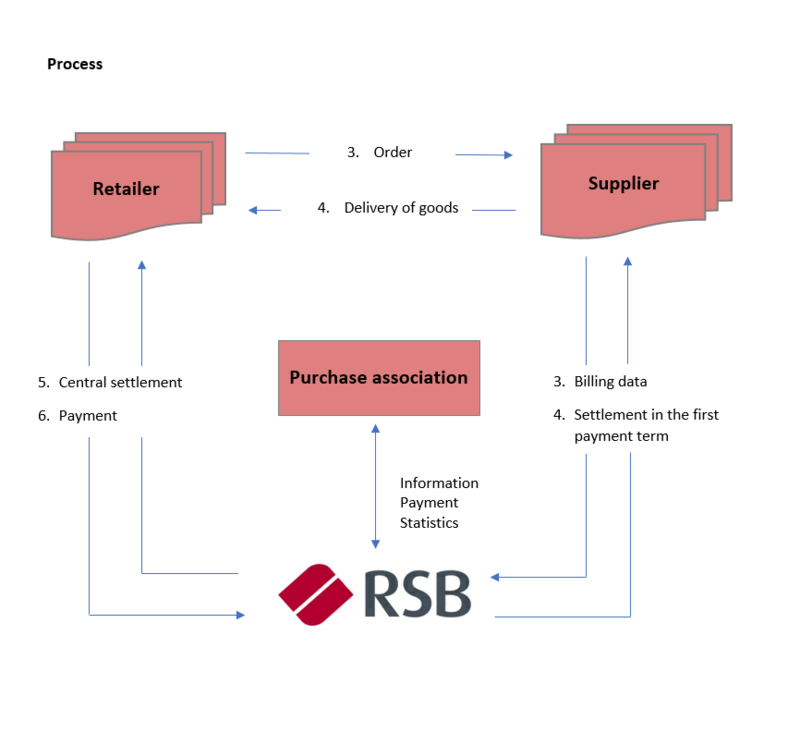 The central settlement thus organizes and guarantees the cash flow between suppliers and retailers who are members of a purchase association.